Dr James L. Smith is a Government of Ireland Postdoctoral Fellow based in the department of geography at Trinity College Dublin. 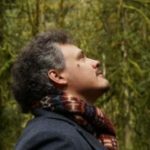 He focuses on intellectual history, cultural and spiritual geography, ecocriticism, digital humanities, environmental humanities, spatial humanities and water history. His first monograph is Water in Medieval Intellectual Culture: Case-Studies from Twelfth-Century Monasticism (Brepols, 2018). James is the editor of The Passenger: Medieval Texts and Transits (punctum books, 2017), and co-editor of the Open Library of the Humanities collection New Approaches to Medieval Water Studies (2019). His 2018-20 postdoctoral project is entitled ‘Deep Mapping the Spiritual Waterscape of Ireland’s Lakes: The Case of Lough Derg, Donegal’. James is also the convener of a spatial humanities reading group based at the Long Room Hub. Veronica Strang has called our spiritual fascination with water ‘hydrolatry’, a lingering veneration that goes beyond religion affecting social behaviour in an era of scientific instrumentality and commodification. It is part of the Irish psyche, and contains a reservoir of spiritual history waiting to be delved. As Jamie Linton puts it, ‘[w]e mix language, gods, bodies, and thought with water to produce the worlds and the selves we inhabit’. There is a need to provide histories that reveal this admixture in greater depth, and make it accessible to a variety of interpretations. This project builds a vision of water spanning Ireland’s long spiritual history that will strengthen the cultural resonance of place and space in the face of unprecedented bio-ethical, heritage, environmental, and climate challenges. The methodology is deep mapping, the capture of a wide range of spatio-temporal material focused on a small geographical area. The final result will be an online archive consisting of literary, social science, natural science, and multi-media collections.